Thank you, Mother Nature! 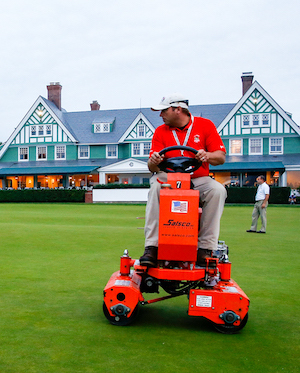 The rain on Wednesday night and Thursday just may have salvaged this year’s U.S. Open at Oakmont on the "watchability" scale. I care about the fans more than the players, truth be told. After all, the pros have a job to do, and they signed up for the torture voluntarily. The viewers are (mostly) innocent bystanders. The rain-softened greens were nice to watch on Thursday, and the players did not all look like they would rather be somewhere else. But we’re not out of the woods yet, because the USGA will be tempted to take action when none is needed. If left to nature, the greens should firm up and speed up gradually into the weekend. I think all the fans would enjoy that. Let’s hope the USGA looks forward to that as well, and leaves well enough alone. There’s no debating the mystique of Oakmont, as it ranks up there with Merion, Shinnecock Hills, Augusta, and Pebble Beach in the combination of epic golf courses that have also had epically historic moments. Of course, there’s Jack’s first U.S. Open win fighting both the demanding golf course and the hostile army rooting for hometown hero Palmer, who was still in his prime. 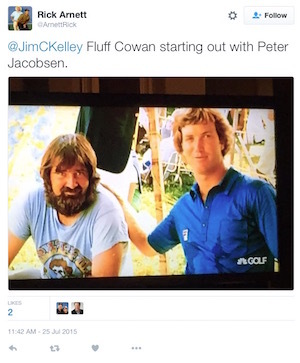 If you haven’t seen it yet, check out "Jack's First Major" hour-long special on Vimeo. And then there’s possibly the most perfect ball-striking round in the history of the game. When Johnny Miller shot his historic 63 in the last round of the ’73 U.S. Open at Oakmont CC to win, he hit every green in regulation. The average length of the birdie putts that he was left with was only 12 feet. Johnny made nine birdies while also missing shortish birdie putts of six, ten and twelve feet. The Senior Players Championship last weekend was also contested on a course pushing the brink of fairness. 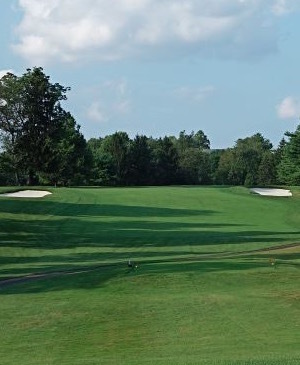 The Philadelphia Cricket Club in Flourtown, PA, proved to be a stern test for the Champions Tour players. The greens were unreceptive and fast, and the wind whipped around the grounds with persistent harassment. The trophy went to the player who could control the distance and spin of his ball in wind that seemed to come from every direction on the compass. Whether it was drawing a utility iron hard into a left-to-right gale or gauging the distance to hit a mid-ion out of the rough on a down hill, down wind approach, Bernhard Langer navigated the hazards at Cricket Club with cold calculation. One thing I hadn’t noticed about Langer before was his peculiar pre-shot routine. I can’t say his method is universal, but many of the shots I saw followed a precise prescription for success. The most interesting aspect to me is that, once at address, Langer did not seem to look back at the target before he hit his shot. He only looked at his alignment spot (almost always a rhythmic three glances), which was about six feet in front of the ball. And of course, Big John Daly was impressive as always even if his scores were a bit bloated. Not only is he still monstrously long, he can shape his driver in Bubba Watson-like fashion. Two shots stood out on the windy Friday afternoon second round. On No. 10 he lifted a high cut that rode the left-to-right wind over a 50-foot-high tree, bending about 40 yards and splitting the fairway on the toughest fairway to hit. Coming back into a heavy wind on No. 15, Daly smoked a low fade that cheated the wind, allowing him to get pin-high in two on the 553-yard hole that was playing more like 600 yards. And I predict great things for one Brandt Jobe, who was out of golf for a few years nursing himself back to form after shoulder surgeries. Jobe was the medalist at the Champions Q School in December, and is not wasting this opportunity. If you want to get a feel for how difficult it is to get on the Champions Tour, realize that only five spots at the Q School get full Champions Tour membership. Spots 6-11 get "conditional" status, and the rest of the top 30 get the "privilege" of competing in each tour stop’s open qualifiers. Good luck with that. While at the time the rebranding of the Senior PGA Tour to Champions Tour was met with some snarky skepticism, it seems the Tour has now hit its stride and found its comfort zone. 2003 was simultaneously a more innocent and a more tumultuous time. Ask no other than the grossly misunderstood curmudgeon Colin Montgomerie, who said earlier this week: "It's by far the best tour that I've played on and therefore the best tour, best tour really in the world out here." In comparing Philadelphia Cricket Club with Oakmont, Colin also predicted a punishing week ahead for the over-50 crowd. It will be a thorough test of golf, and only the fittest will survive. In the end, the winner will probably be the golf course. And what a golf course. I recommend heading out to the Senior Players Championship just to bask in the beauty and grandeur of one of the best of the best in the Philadelphia region. The Cricket Club is an A.W. Tillinghast gem that has only matured to near perfection like a rare Rothshild vintage. But the other best reason to the tournament is to watch some of the great swingers of the game. The "Champions" are not as athletic as the PGA Tour pros, no doubt, but they make up for it in effortless power. Which reminds me of one of the most elegant and in-balance swings of all time, Tom Purtzer. Sadly, he didn’t make the Players field, but over the last forty years, he has topped the survey results seemingly every time that his peers have responded to: "Whose swing do you most admire?" 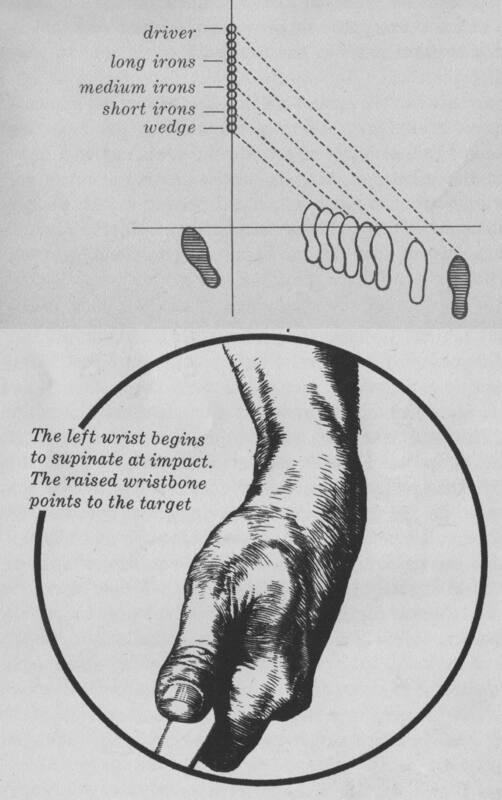 When instructors talk about effortless power, look no further than Tom Purtzer’s rhythmic, perfectly balanced motion, seemingly building power in every ligament from his toes to his fingertips. Which brings to mind another timeless swing, Mickey Wright. Her swing has a lot more leg action, but many point to her transition at the top as the most ideal in the game. What isn’t effortless power is the way the USGA has addressed the way the ball is traveling ridiculously far on today’s pro tours. They finally broke their silence on the matter in a way that might rub some folks the wrong way. Here’s the report in full, but I can some it up for you as such: "Nothing to see here. Move along." The tone of the report borders on condescending, claiming statistical rigor while comparing apples to slightly unripe apples. The best they can admit to is monitoring, since 2002, "a slow creep" of distance gains on the PGA Tour. 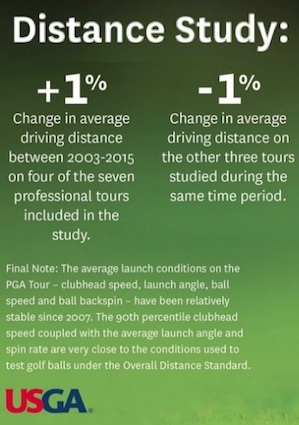 Two of its "findings" are (emphasis added): "The average launch conditions on the PGA TOUR – clubhead speed, launch angle, ball speed and ball backspin – have been relatively stable since 2007." And "...the amount by which players are "long" or "short" is virtually the same – for instance, the 10 shortest players in that group are about 6% shorter than average, while the 10 longest players in the group are about 7% longer than average. The statistics are not skewed toward added distance." There are many ways you could pick apart the USGA’s overall argument that there’s no problem here, some of which they admit themselves in dismissive sleights of hand. The first problem is it is "driving distance" only. It’s obvious to anyone watching the PGA Tour on TV that over the last 15 years, the course setups have dramatically reduced roll in the fairways. Add to that the fact that the longest hitters more and more don’t use drivers—and sometimes irons—off many par-four and par-five tees and you get a sense of how much this thorough "study" leaves out. And what about the 170-yard nine-irons and the 220-yard six-irons? The most cynical way one might look at the USGA’s lack of action on distance control is that they let the ball and the driver head technology max our the limits of physics long enough to arrive at a baseline point that they could safely then pretend to "take action." The 2003 "Position" paper from the powers that be stated: "The R&A and the USGA will consider all of these factors contributing to distance on a regular basis. Should such a situation of meaningful increases in distances arise, the R&A and the USGA would feel it immediately necessary to seek ways of protecting the game." Now they take credit for reining in distance growth during this last era of "Stability through Regulation" by breaking down the fast distance growth before 2003 and after as such. The first page of the current report promises: "We intend to produce a distance report on an annual basis." Looking forward to similar conclusions in the next one. Bonus long ball: How do you hit a ball two yards and have it travel 50? Dustin Johnson illustrates. Yes, I root for him. And I’m not ashamed of it. But somewhere along the line my attitude toward Big John changed, or shall I say, became repressed. You see, I became more fascinated at the eternal fascination of his loyal fans than admitting I was still fascinated by the icon, even through the darkest of times. Of course I was amazed when he won the British Open, and I thought at that moment that he could complete the Career Grand Slam. Like everyone else over the years, I was willing to forgive some, or many, indiscretions. For instance, the number of ex-wives one man accumulates does not necessarily reflect poorly on his character, especially when he can joke about it on a song called "All of My Exes Wear Rolexes." The endurance of John Daly’s fame and likeability may come down to his role in our media-driven society as a Modern Everyman. Any other man with so many faults and scandals may have been long shamed and forgotten if it weren’t for his "aw shucks" openness and, one must emphasize, humility. He struggles with life like we all struggle at times, and he doesn’t mind telling you about it. People identify with him because they see in John that a person can both be responsible for his own actions and still be a victim of them at the same time. I don’t mean to gloss over his periods of public infamy, when many wrote him off as hopeless. There were years where he dropped almost completely out of favor. But that’s just the point. Whenever he showed his face again, there were sympathetic fans and empathetic media ready to forgive and forget. And you only have to look at ticket sales and crowd sizes following him around any tournament he managed to get into to prove his enduring appeal. So now he’s on the Champions Tour and expected to draw huge crowds there, and lead the driving distance stats as well. And if you don’t see John as humble, I’d like to quote from an interview early in his PGA Tour career talking about his prodigious length: "Basically, it’s just something that happened. I think it’s more natural ability than anything. It’s a God-given talent, and I just worked at it a lot. And, you can’t really explain it... It’s something that just happens." So I fell under that Everyman spell as well, and I never downplayed his talent. If your memory has revised down the impact he had when he burst onto the scene, and the mystique that followed, I can only say that he was revered like Paul Bunyan, John Henry, or Buffalo Bill—or a combination of all three. His driver had to be made of bulletproof material, for Chrissake. His unpredictability also added to his edge. Because cell phone cameras were not ubiquitous back in the day, one incident was less scandalous than it might have been in today’s social media piranha-like feeding frenzy. A little bored at an exhibition on a driving range, John spun around and launched a full driver over the gallery behind the range. Dangerous, maybe, but let’s be honest, he wasn’t going to miss. He never has. So this past week was Big John’s debut on the Champions Tour, and he led the field with 298-yard driving average. That would also lead for the season stats, if he were to keep it up through the rest of his Champions schedule. He also plans to play the PGA Championship and the British Open. And his all-around game showed some promise, as he made 14 birdies over the 54-hole tournament. He’s a natural talent, for sure, and a feel player. One thing that always drove me nuts is that he takes very little time evaluating the break of putts. Though he makes many, he also misses more than his share of short ones. There’s one moment in golf history that encapsulated both extremes of John’s temperament—and maddening allure. It was the World Golf Championship in October 2005 at TPC Harding Park in San Francisco. Daly and Tiger were tied at the end of 72 holes, and a sudden death playoff ensued. Tiger drove first, and Nick Faldo called it at almost 350 yards. (And don’t think Tiger wasn’t trying to go toe-to-toe with the longest hitter on tour.) So Daly steps up and outdrives Tiger by almost 15 yards. Yes, I also watched the short-lived "Being John Daly" reality show, as well as the Feherty episode that was oddly uncomfortable as two supposedly clean alcoholics danced around some of the realities of being clean. Two highlights were the opening with an "Animal House" homage and the destruction of Daly’s ugly wall mural (at 37:33) and the unveiling of a much better mural (at 42:14). My career looks so bleak. Many are excited about an ESPN "30 for 30" episode entitled "Hit It Hard," rumored to be broadcast-debuting July 14th, the week of the British Open. 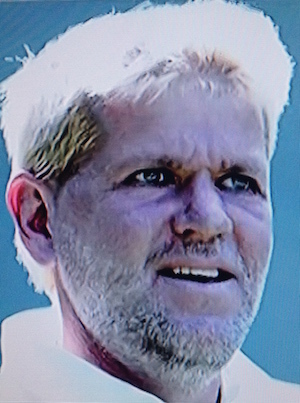 And if you heard about the bobblehead John Daly released last week but missed it somehow, it’s worth a look, sponsored by Hewlett Packard Enterprise. He even looks good in the image shown here, a head shot generously used by the GolfChannel only two years ago, which was certainly not "accurate" at that time. In the end, I believe most fans give John a break because they can see has a good—even generous—heart, has endured some tough times (whether self-imposed or not), and has never taken himself too seriously. An eternal Everyman, if you will, with childlike appetites caught in the webs of adult responsibility. Just in case you missed it last month, veteran looper Fluff Cowan turned a journeyman into a star in a few short weeks—almost immediately, actually. As his regular bag, Jim Furyk, is still recovering from injury, the tireless 68-year-old was off-duty but glad to take a call from one Sung Kang, a Web.com tour grad. You see, Kang had missed three cuts in a row in his first Big Tour run since 2012. With Fluff on the bag, Kang almost shoots 59 on his second round with the legendary caddie (at the Monterey Peninsula course). He finishes 17th at Pebble Beach, 8th at Riviera, and 10th at PGA National for the Honda Classic. So much for the overrated caddie argument. Three cuts missed to three top-20 finishes. Not too shabby. Just to review, Fluff’s resume is primarily filled with long stints with Peter Jacobsen, Fred Couples, Tiger Woods, and Jim Furyk. All marquee players in their prime, proving the best caddies are teammates, no matter what the astute zeitgeist observer Stephen Anthony Smith opines. Just a reminder, when Fluff got on Tiger’s bag, after stumbling out of the gate with a low finish at the Greater Milwaukee Open, then went 11, 5, 3, 1, 3, 1, 21, 3, 2, 1... and on to the Masters win in 1997. The best PGA Tour caddies bring a number of skills to the table. They have experience on the course, they know their yardages and wind, and they stay out of the way. Many say they also play psychologist on the golf course, delicately managing their players’ emotional ups and downs during a round. That may be true, but I think the most salient talent is instilling confidence in the player at the moment of truth, right before the swing. Fluff is one of the best at this. Others that come immediately to mind are Bones McKay, Squeaky Medlin, and Joe LaCava. I hate to include LaCava—not because he’s another Tiger hanger-on—but because he doesn’t have a good nickname. There’s many things to love about Fluff, though. He’s an International Man of Mystery: Wikipedia editors can’t confirm a birthdate. He’s a certified Deadhead. He has fine taste in golf courses (a member at Congressional). He made two memorable "This is SportsCenter" commercials (This one is the better one, short and sweet). And he tweets at @CaddyFluff, but nearly enough. A shout out to Rick Arnett (@ArnettRick) of www.avidgolfer.com for the tweet of Fluff pictured here.